Board Audit – let’s get it right! The challenges associated with value creation drive us all. Any member of an executive or governing board is eager to make their mark by delivering great returns. When analysing how these returns are achieved one soon discovers that the vast majority of board members rely on their industry expertise, functional expertise and financial acumen to make it happen. These are, of course, the basics of the trade. True mastery is, however, achieved by adding more tools and techniques to the basic repertoire of value creation. Even better when the tools satisfy the needs of their stakeholders and support you in your efforts to wow financial markets. Given that management is the key enabler and driver of valuation creation it is quite surprising how little effort is presently put into the systematic development of executive boards. Should this not be one of the key tasks of chairmen and actually one they are measure on? 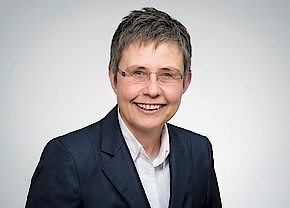 READ MORE about the insight gained by Dr Sabine Dembkowski from developing more effective boards including the 5 Prerequisites needed for board audits and development programmes to provide a return on investment and a position impact on value creationand the 7 Pillars of effective boards.